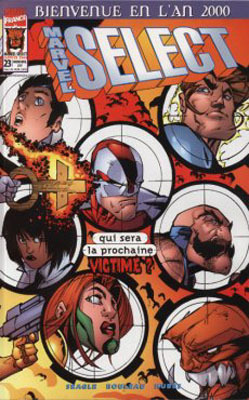 1/ Thunderbolts - Les nouveaux...justiciers ! 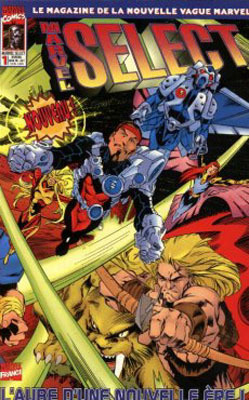 → Thunderbolts (1°) #1 (04/97) Justice... Like Lightning! 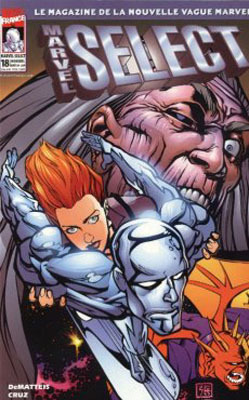 3/ Silver Surfer - C'est la fin du monde tel que nous le connaissons ! → Silver Surfer (3°) #122 (11/96) It's The End Of The World As We Know It! 4/ L'Homme Absorbant - Vive la St Valentin ! → Marvel Valentine Special #1 (4) (03/97) The Absorbing Man And Titania - The Greatest Gift! 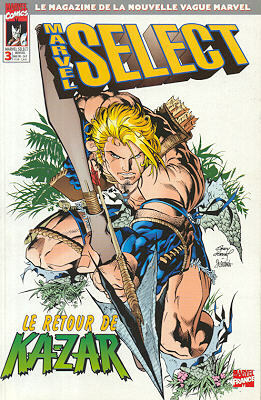 → Ka-Zar (4°) #1 (05/97) The Thrilling Return Of Ka-Zar, Lord Of The Savage Land! 2/ Silver Surfer - "Je veux revoir ma Normandie..."
3/ Thunderbolts - Les imposteurs ! 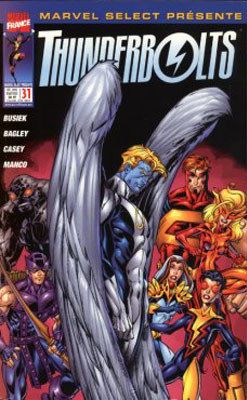 → Thunderbolts (1°) #3 (06/97) Too Many Masters! 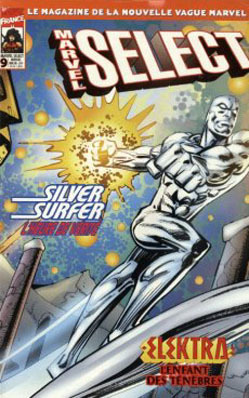 3/ Silver Surfer - Bonne année ! → Marvel Holiday Special # '96 (3) (1996) Silver Surfer - Hark! The Herald! 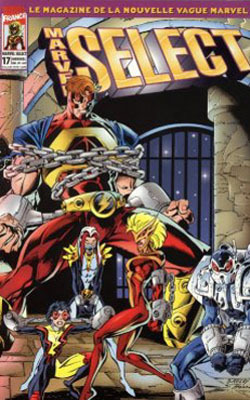 → Thunderbolts (1°) #4 (07/97) A Shock To The System! 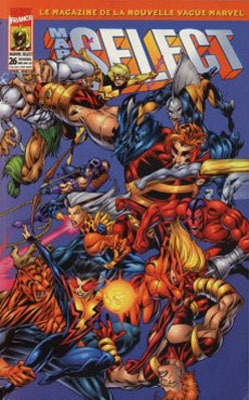 1/ Thunderbolts - Les origines des Thunderbolts ! 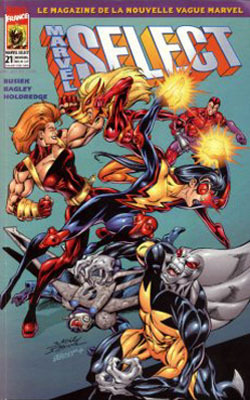 → Thunderbolts (1°) # '97 (08/97) The Origin Of The Thunderbolts! 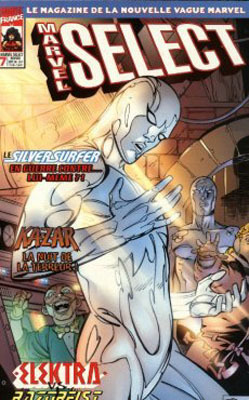 3/ Silver Surfer - L'éveillé! 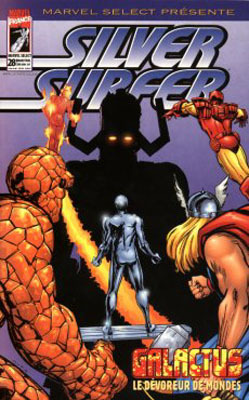 → Silver Surfer (3°) # '97 (1) (1997) The Awakened! 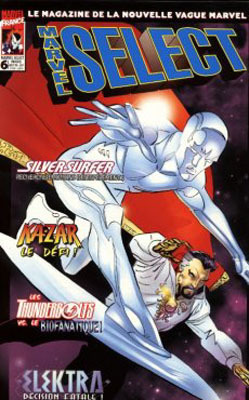 1/ Silver Surfer - Enlèvement! 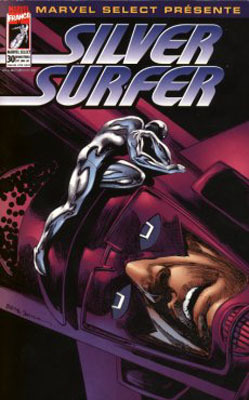 → Silver Surfer (3°) #-1 (07/97) Abduction! 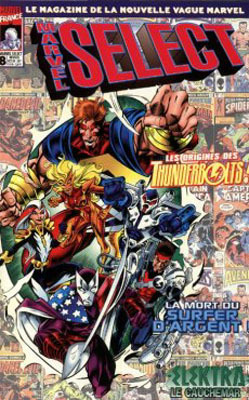 3/ Thunderbolts - Tous mégalos ! 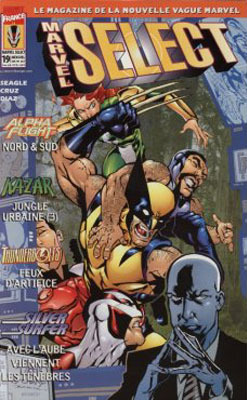 2/ Thunderbolts - Un adversaire de...taille ! 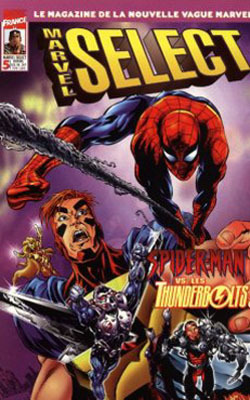 3/ Thunderbolts - Eléments instables ! 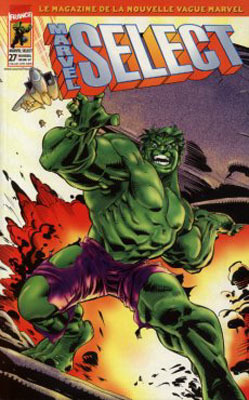 → Thunderbolts (1°) #6 (09/97) Unstable Elements! 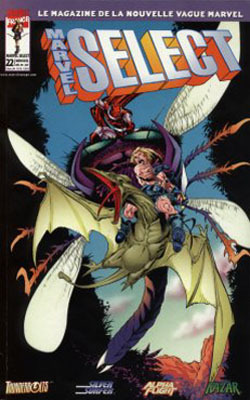 → Thunderbolts (1°) #8 (11/97) Songbird : Alone! → Silver Surfer (3°) #131 (09/97) Farewell To The Dream! 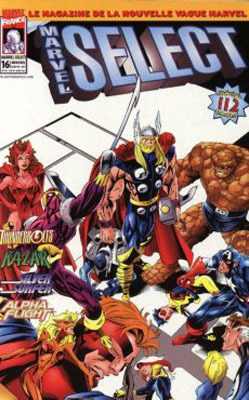 → Alpha Flight (2°) #3 (10/97) Bury Your Dead! 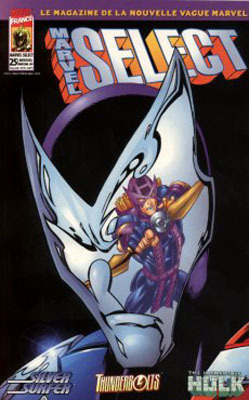 2/ Thunderbolts - Bas les masques ! 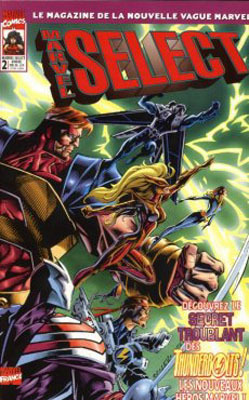 1/ Thunderbolts - A la cour de Kosmos ! 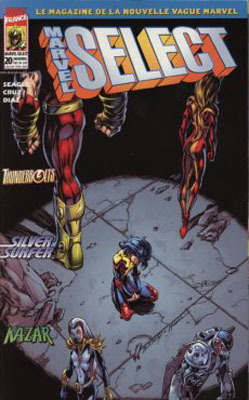 → Thunderbolts (1°) #13 (04/98) In The Courts Of Kosmos! 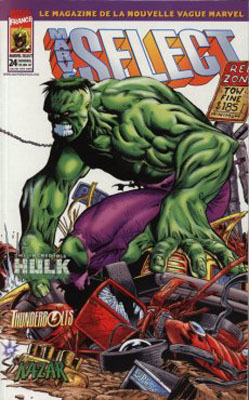 → Thunderbolts (1°) #14 (05/98) Casualties Of War! 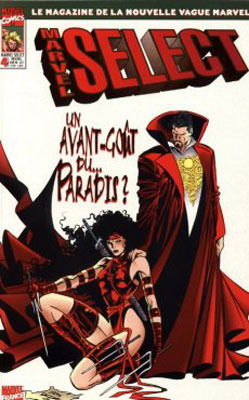 2/ Thunderbolts - Qu'on les ramène morts ou vifs ! 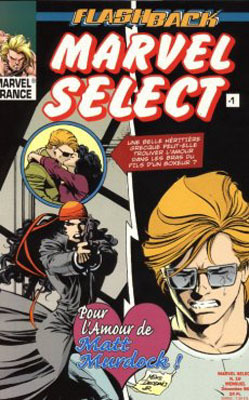 4/ Ka-Zar - La jungle urbaine, chapitre deux : "La loi de la jungle"
4/ Ka-Zar - La jungle urbaine, Chapitre quatre : "Enfer terrestre !" 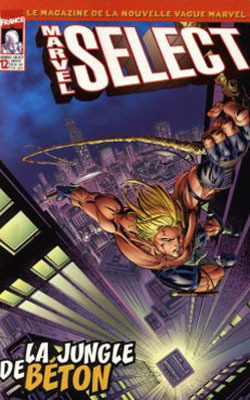 → Ka-Zar (4°) #11 (03/98) Urban Jungle, Chapter 4 : Garden Of Evil! 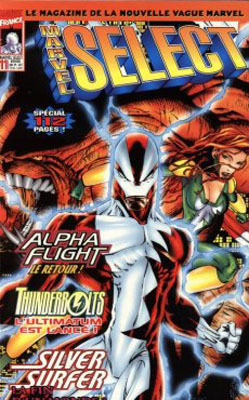 1/ Alpha Flight - "H"
→ Alpha Flight (2°) #12 (07/98) "H"
4/ Thunderbolts - Tout sur les Thunderbolts ! 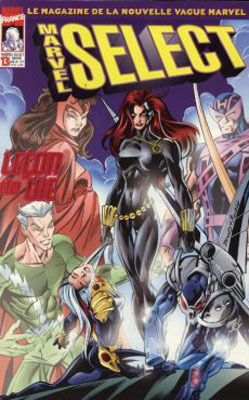 1/ Thunderbolts - Sauver le monde ! 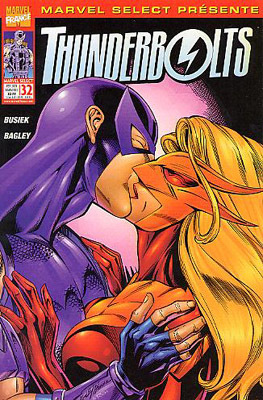 → Thunderbolts (1°) #25 (04/99) Saving The World! 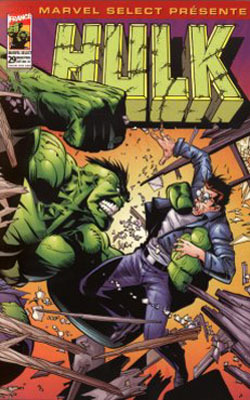 2/ L'incroyable Hulk - Pas d'issue ! → Silver Surfer (3°) Annual #3 (2) (1990) The Power Of The Silver Surfer's Board! 2/ Silver Surfer - J'ai faim ! 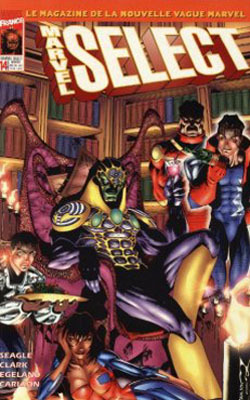 → Galactus The Devourer #1 (09/99) Hunger! 4/ Silver Surfer - "Les incroyables pouvoirs du Silver Surfer"
1/ Thunderbolts - Uh-Oh ! 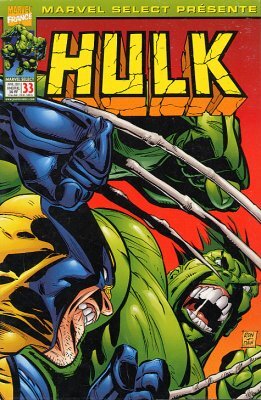 → Thunderbolts (1°) #30 (09/99) Uh-Oh!